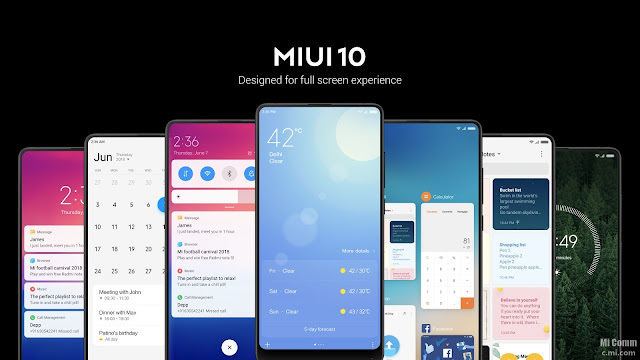 MIUI after 10 launches mobile manufacturer in China, the company is continuing to gradually all compatible devices by batch Xiaomi software. Recall that the MUI 10 was launched in July, after which the company was beta testing software. Xiaomi is releasing the stable update of MIUI 10 from the month of September to the smartphone. Firstly there were updates to many other handsets including Redmi 6 Series Smartphones (Miu 10 China Stable ROM). It has shown that 21 Phase Xiaomi smartphones will now get updates. Let's take a look at the smartphone Update receive the list in the second phase Xiaomi Mi Max 2, Xiaomi m 4S, Xiaomi Mi 4c, Xiaomi m 5s, m 5s Plus, Xiaomi Mi Max, m 4, Xiaomi m Max Prime, Xiaomi Redmi 5A, redmi 4, Xiaomi Redmi 4A, including Xiaomi Redmi 4x, Redmi Note 5A, Xiaomi Redmi Note 4 (Qualcomm), Xiaomi Redmi Note 5A prime Redmi Note 4 X, Redmi Note 4 (MediaTek), Xiaomi Redmi Pro, Mi Note 3 and redmi 5 plus. Recall that Xiaomi Poco F1 last week got meiu Global Stable ROM updates. With the new update, full-screen gestures, natural and ambient sound has been added in Shaomi Poko F1. AI Portrait Mode has also been added in the Mei 10 Global stable ROM which will help to give Bokeh effect while taking pictures. All the handsets mentioned above will get updates via over-the-air (OTA) soon. Users can also check for updates by going to Settings> About phone> System updates,> Check for updates.